Lately I've really been enjoying Palo Santo. Light it on fire for a moment, blow out the flame and you're greeted by curls of fragrant smoke. It's relaxing and smells wonderful. Even fresh out of the package before you light it, it has a woody scent that's both fresh and deep, with notes of vanilla. 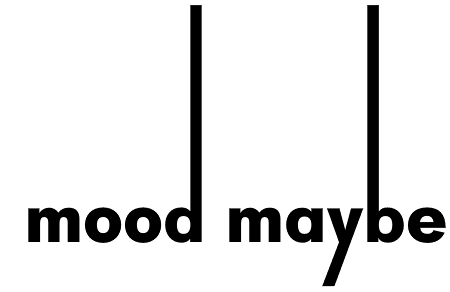 It's an easy, satisfying ritual, and a welcome punctuation before meditation, cozy reading in bed, going to sleep or just hanging out. It can clear the air, clear your head, and if you like to think of it that way, clear the energy of a space. 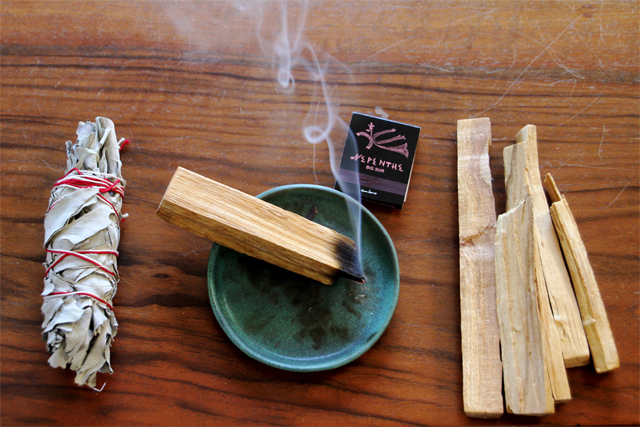 Palo Santo sticks are reusable, so you can light the same one many times. 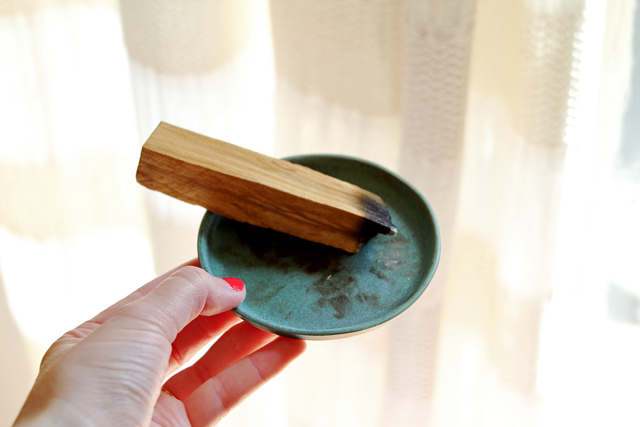 It gives me a reason to put my matchbook collection to good use (I tend to pick them up from favorite places like Deetjens and Camino), and also to pick up pretty ceramics — I love the mottled turquoise of this dish I found at Reliquary. 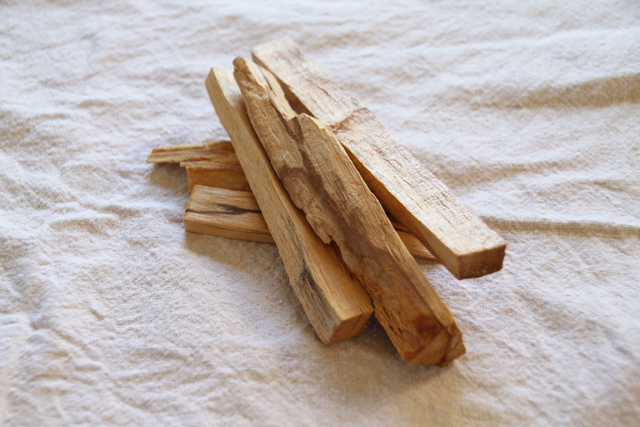 Whether it's symbolic or just a good smell, Palo Santo is something lovely to keep in your home.